We run this tour with small groups of maximum 8 people. What do you need to bring? Warm mid layer/fleece, comfortable walking shoes, sunblock, and snacks. We run this tour in English, Spanish, and Czech. In case of cancellation from our side due to bad weather, we will reschedule the tour or return your payment in full. 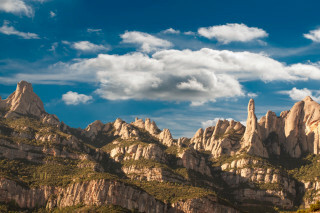 About 50 km northwest of Barcelona is Montserrat, a multi-peaked mountain range known for its distinctive rock formation, astonishing views, and sanctity. 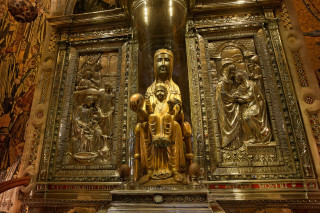 According to a catholic legend, Madonna’s image was taken to Montserrat in the year 718 to avoid its destruction. As Benedictine monks couldn’t move the 95 cm (38 in) high statue from its position, they decided to build up a monastery around the saint. 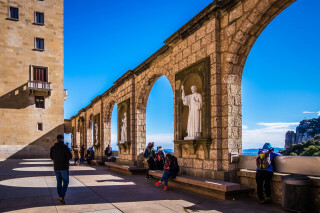 This is only one of many reasons why the holy lands of Catalonia attract explorers from all over the world. Our tour starts at 8:30 a.m. in front of Hard Rock Cafe, in the center of Barcelona. 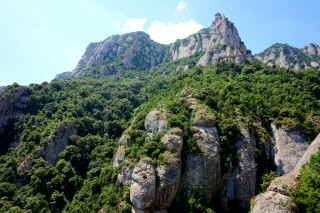 Your guide drives you in a comfortable van directly to the famous monastery of Montserrat. 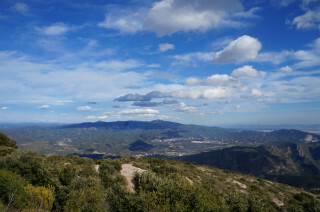 Even from a distance, you can already see the unique shape of the Montserrat mountain range. Once we arrive at the monastery, we have a chance to admire the area before starting our hiking. We follow a trail that leads us around the mountain. We see several hermitages, where monks used to live and retire in the past, and dominant pointed spears and round-shaped rocks that resemble animals and human figures. All around is unique vegetation and dense oak forests typical of the Mediterranean. Sometimes, Montserrat’s iconic wild goats also pass by to surprise visitors, and you can often see vultures gliding through the sky, searching for food. At the end of our trail, after about 3 hours of walking, we visit the monastery and “La Moreneta”, as the black virgin saint is called in Spain. And before heading back to Barcelona, we taste some delicious sheep and goat cheese, made by local farmers. 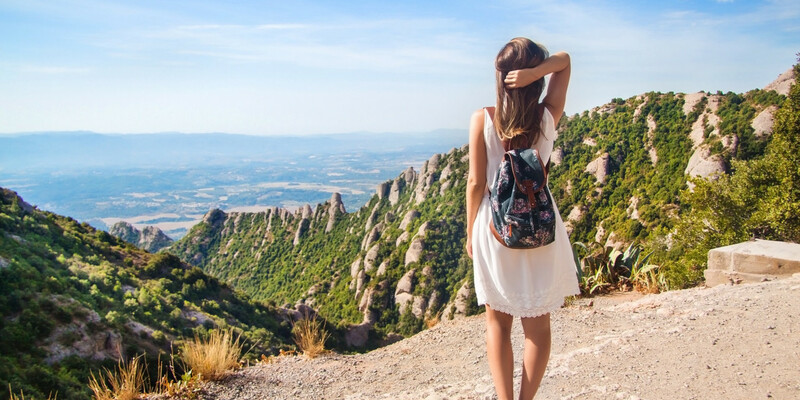 With a mixture of breathtaking landscapes, art, culture, spirituality, and something to fill your belly, this tour promises a variety of beauty and bliss, making your holiday a memory to remember.